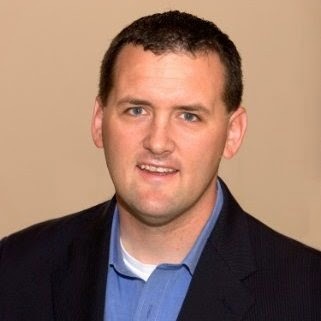 Today’s guest post comes from Scott Pribyl, CEO, mRx Ventures. Scott provides a useful primer on how patient care can be improved using coordinated, cloud-based technology. 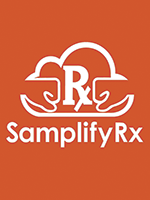 He explains how SamplifyRx, an innovative technology solution for specialty pharmacy, can increase adherence and streamline the patient experience for all stakeholders. 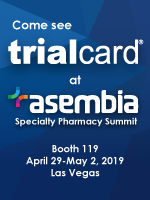 Next week, Scott will be at the 2016 Armada Specialty Pharmacy Summit in Las Vegas. Email him at scott@samplifyrx.com to learn more about SamplifyRx’s technology and set up an in-person meeting. 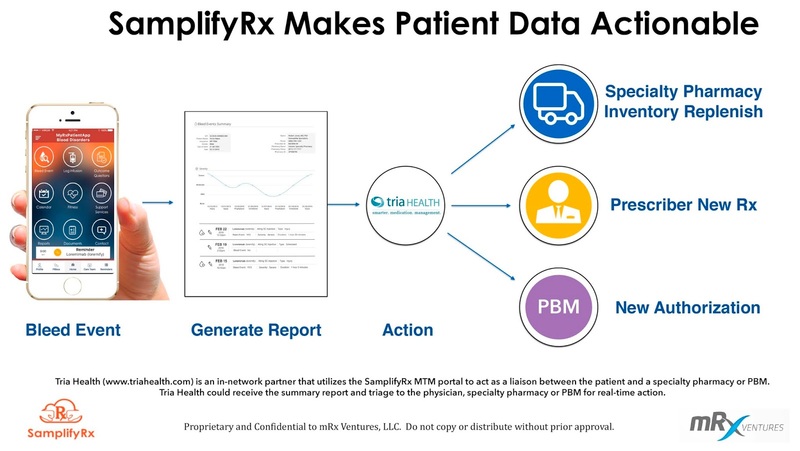 Today, patients who require specialty medications to treat complex diseases must navigate a network of healthcare stakeholders (providers, payors, PBMs, pharma companies, etc.) who are trying to deliver coordinated care using uncoordinated technologies. 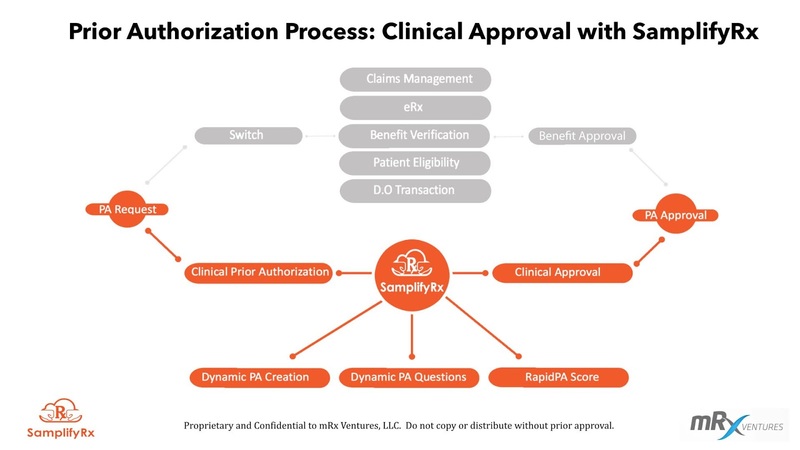 Utilizing a patient-centric approach with interconnected portals is key to seamlessly moving through these phases. 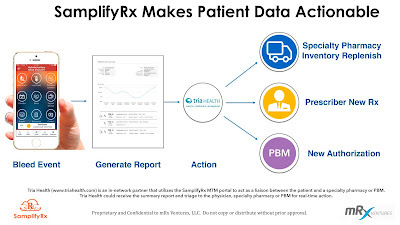 A patient’s specialty prescription information should be in a centralized patient data repository where any care member should have access (based on HIPAA permissions). In healthcare, HIPAA and data security require access through a portal before accessing any hub service. One benefit of interconnected portals is any care team member can share documents securely without faxes or e-mails with another portal user. You can save a PDF in one portal and in real-time it will show up in the document manager of the other care team’s portal. An Application Program Interface (API) connects the backend database to the user interface. Using an API – typically in the RESTful JSON format – will message directly with the backend database without worrying about any changes to the frontend interface. 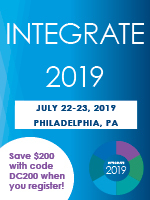 Instead of full “hard coded” integrations with a legacy system, using an API can speed up the time to connect different care team portals. Technology in specialty is shifting towards the use of an API for retrieving data but HIPAA still requires permissions for patient data. Patients must be able to opt-in and opt-out of sharing patient data. One standardized option is the use of OAuth2.0 for granting permissions using tokens. 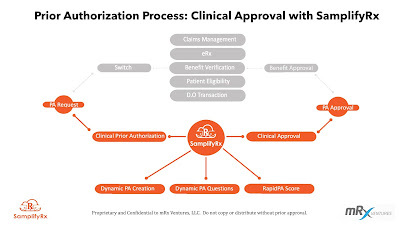 Electronic claims or adjudication software (including the switch and D.0 transaction) determines the patient’s benefits and eligibility. Clinical pharmacist approval determines if the drug prescribed is medically appropriate and necessary. Unless the data collected from a patient app is shared in real-time, the data could be worthless. Using the new, interconnected portal system, a bleed event, for example, could trigger documentation to be sent to the care team coordinator to triage, thereby making data actionable in real-time. 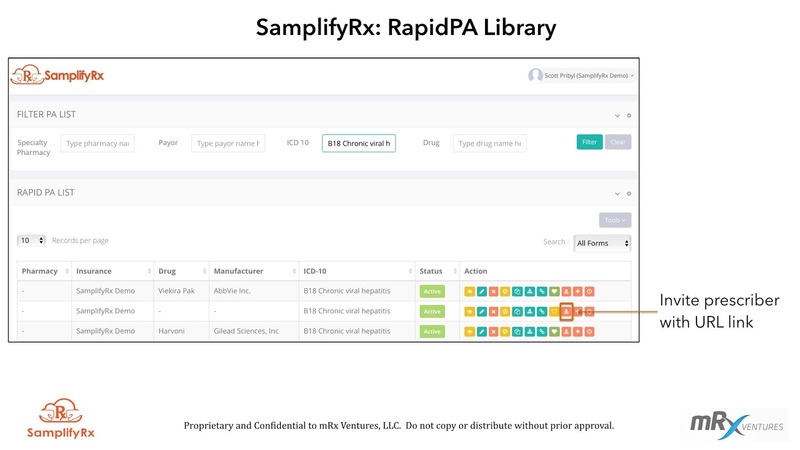 You can view a demo private-label app at www.parxio.com. 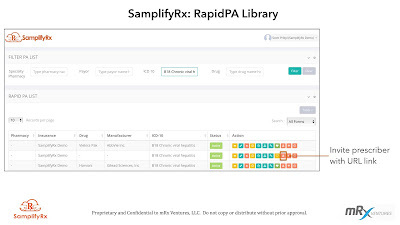 It was created using the SamplifyRx API. The demo shows some data feeds and how connected portals can be built in with permissions. To learn more, contact Scott directly at scott@samplifyrx.com.